Completed in 1915, the Parker Consolidated School Building brought in 38 students (a small number compared to today’s school populations!) of all grades from surrounding schools in Parker, Allison, and Plainfield. A gymnasium was added in the late 1950s and a choir room and classrooms in 1979. The school served high school students until 1955; then it became an elementary school, and the town’s cultural resource center from 1995 to 2011. Today it houses an affordable community children’s theater and dance program that serves as an incubator for a variety of arts and cultural organizations within the community. With funding from the History Colorado State Historical Fund the building underwent a long-term rehabilitation project. 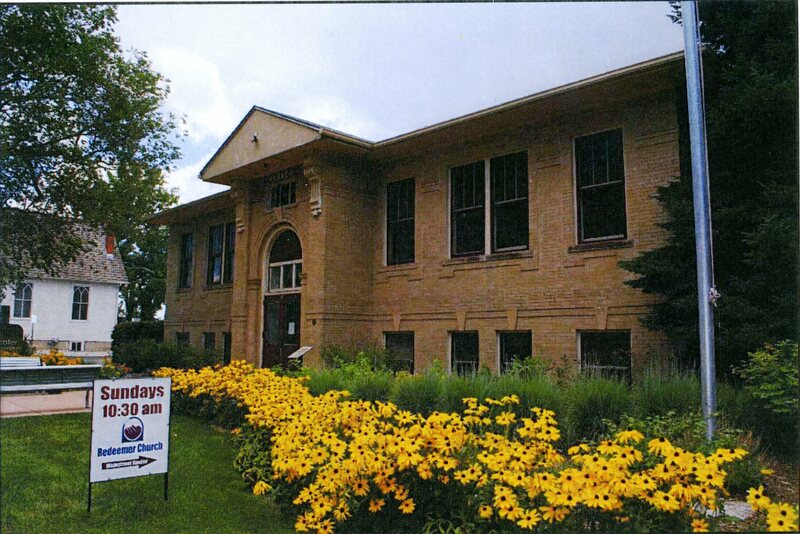 The Town of Parker, a committed steward of the beloved building, restored historic windows and screens as well as the historic entrance and its character defining features (SHF grant # 14-02-29) so that the building could continue to serve the community while retaining its architectural and historic integrity. Grant 17-01-17 helped fund the restoration of windows and doors on the first floor, and the restoration of the exterior features including the masonry, soffit, and fascia; a roof replacement, drainage improvements, a chimney restoration, and reconstruction of the historic cupola.